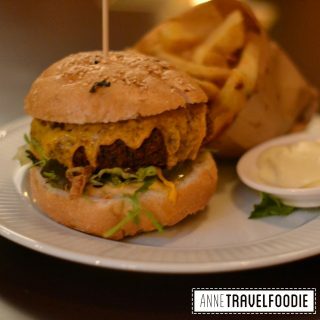 You can do so many things with courgette (zucchini)! You can make courgette spaghetti (courgetti), courgette roses and you can even use it as a very healthy pizza base (check the video recipe here). 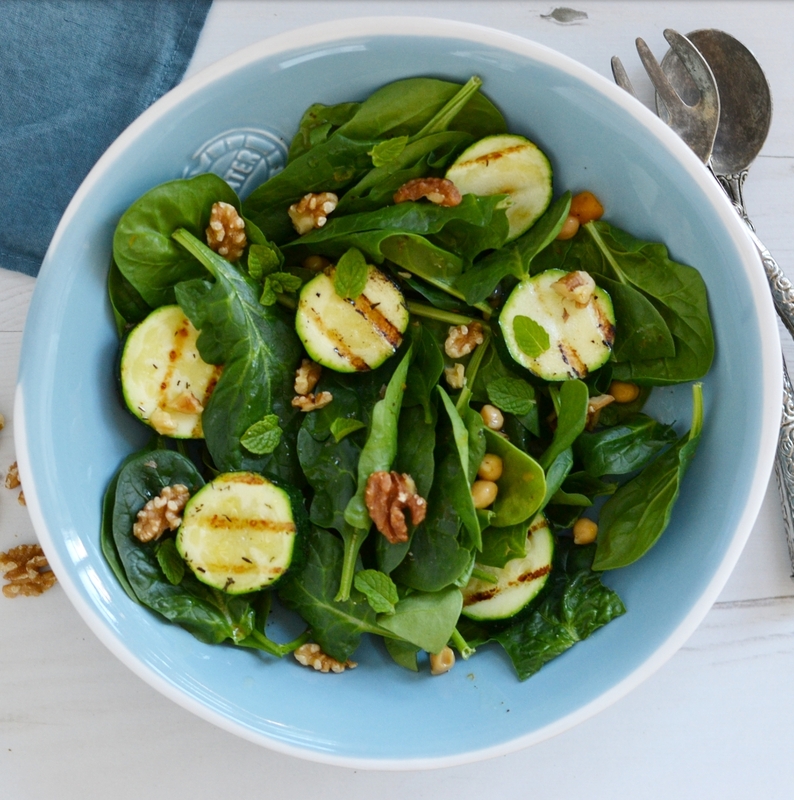 But you can also keep it very simple and make this super healthy grilled courgette salad. This salad is vegan and gluten free and very easy to make. The first step is to marinate the courgette, this sounds more difficult than it is. 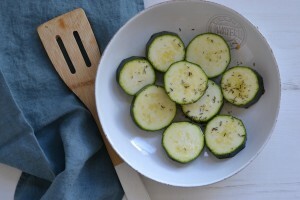 All you have to do is cut the courgette in slices and drizzle with olive oil and sprinkle with thyme (fresh or dried). Let it stand for a couple of minutes. Heat a grill and grill the courgette slices for a couple of minutes on each side. 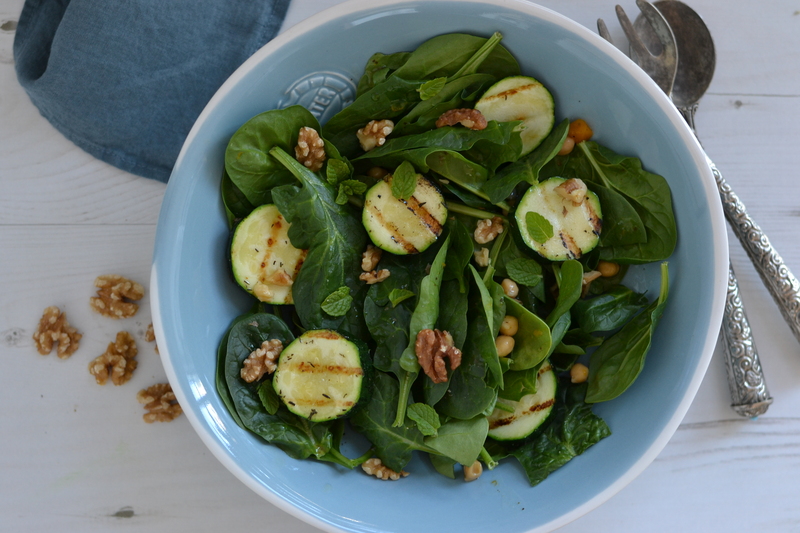 Put a few hands of fresh spinach in a bowl, add some walnuts and chickpeas. Toss in the grilled courgette slices. Add a couple of fresh mint leaves and drizzle with olive oil. 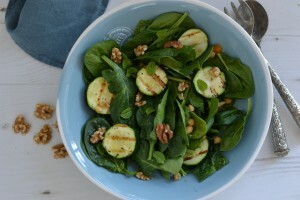 You can also grill the courgette on the barbecue and make this salad for your barbecue party! If you’re not eating vegan you can add some goat cheese before serving. 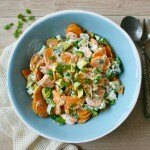 If you like this you might also like my vegan sweet potato salad.